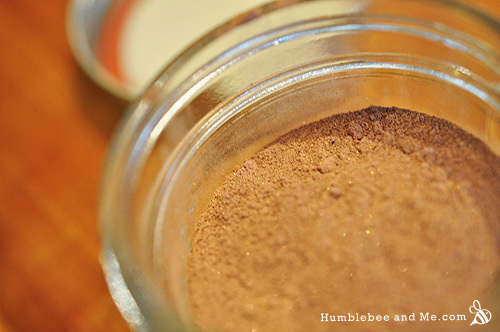 This homemade bronzer has a lot in common with my homemade blush. It’s easy, effective, and uses most of the same ingredients. Swap the red iron oxide for a mix of red, yellow, and brown iron oxides, and some bronze mica, and voila, bronzer. The process is pretty much identical. Mix everything together (minus the colourings), and the press the mixture through a fine sieve, again and again, adjusting the colouring as you go. Be sure to test it on your skin as you go. If you have an extra coffee grinder that you only use for DIY projects, you’ll find you get much better results using a coffee grinder to make this powder, but it’s not necessary. The coffee grinder will produce a much smoother, more uniform powder in far less time, so if you’re interested in making more powdered cosmetics, it’s definitely worth picking one up from your local thrift shop for $10–$15. Zinc oxide gives us a bright white base to work from, which we’ll colour with the oxides. While the mica looks stunning in the jar, it doesn’t add much colour to the final product—just a touch of fantastic, light catching shimmer. Jojoba oil and vitamin E oil help weigh down the powder to keep it from poufing out and being easily inhaled, as well as giving us a bronzer that doesn’t dry the skin and leave our skin looking flaky and dry (ugh). Mix everything but the oxides and mica together. Pass through a fine sieve again and again, until smooth. 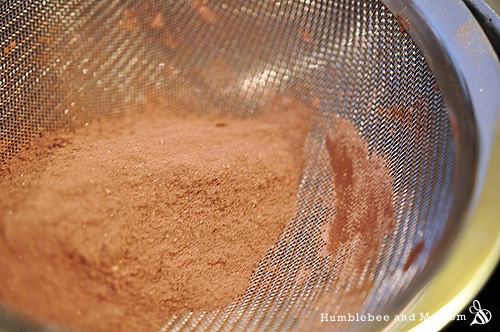 Gradually add in the colourings, passing through the sieve between additions. Test on your skin to gauge the colour and correct as needed. Store in a mason jar. If you have a DIY coffee grinder you can also do all your blending in there instead. Check out my book, Make it Up, for a better formula that uses fewer ingredients and is much more flexible. My book also has lots of colour blending tips and a few different starter colour blends so you can create a wide variety of different shades of bronzer. Interested in learning how to make more natural cosmetics? Click here! This is great. I gotta try this, thanks! Where do i purchase the ingredients? I get pretty much everything from New Directions Aromatics. If I want this matte with no shimmer can I just leave the mica out? Yup 🙂 It’s really not that shimmery on, though, so you might try diving the batch in half and adding a wee bit to one portion and seeing what you think. Is it safe to use zinc as a powder? I have used it in sunscreen and diaper cream I have made but it requires that you use a mask and not to breathe in the zinc powder? Thanks for any insight! Love the blog! Honestly, you don’t want to be inhaling any fine powders in large amounts. Zinc oxide, titanium dioxide, clay, talc, store bought face powder, whatever. It’s not a good idea. 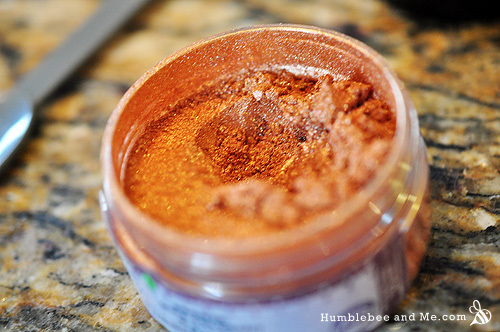 If you’re going to be making this (or any powdered make-up) in a coffee grinder I would recommend wearing a mask while you do the blending since it tends to puff out quite a lot with all the blending. However, once you blend in a bit of oil, it really settles down (the more oil the less prone to dust clouds it’ll be), and you don’t get big powdery poofs when you open up the container. That makes it pretty easy to safely get some on a brush and apply it to your skin. Tap the excess off the brush, but that’s more for ease of application than anything else. The dangers associated with powders are generally in aerosolized applications where you can inhale large amounts. Little poufing = little aerosolization = little inhalation risk. My final powder would require good amount effort to get a large amount in a large cloud to then inhale, so you really aren’t exposed to that much airborne powder. Hope that helps! Hi Marie, I bought your book in hopes to make my own makeup but I am disappointed because when I made the Essential mineral makeup base (p84) in colour Simone, it leaves a white cast (or ashy colour) on my skin. Upon investigation, I figured out for a dark skin people, zinc oxide and titanium dioxide doesn’t work in large amount. So I reduced the amount to titanium dioxide (3/8 tsp), zinc oxide (1/16), s.mica (1/4), m.stearate (1/2), arrowroot (1 5/12), brown oxide (1 1/6). BUT now the powers are all clumped up and it rolls off my skin… I really need help and I cant seem to find your email address, so if you can help me out. (I purchased $300+ of materials and equipment so please help me!!!). Thank you. Hey, love your blog and youtube channel. How do I turn this into a press powder? 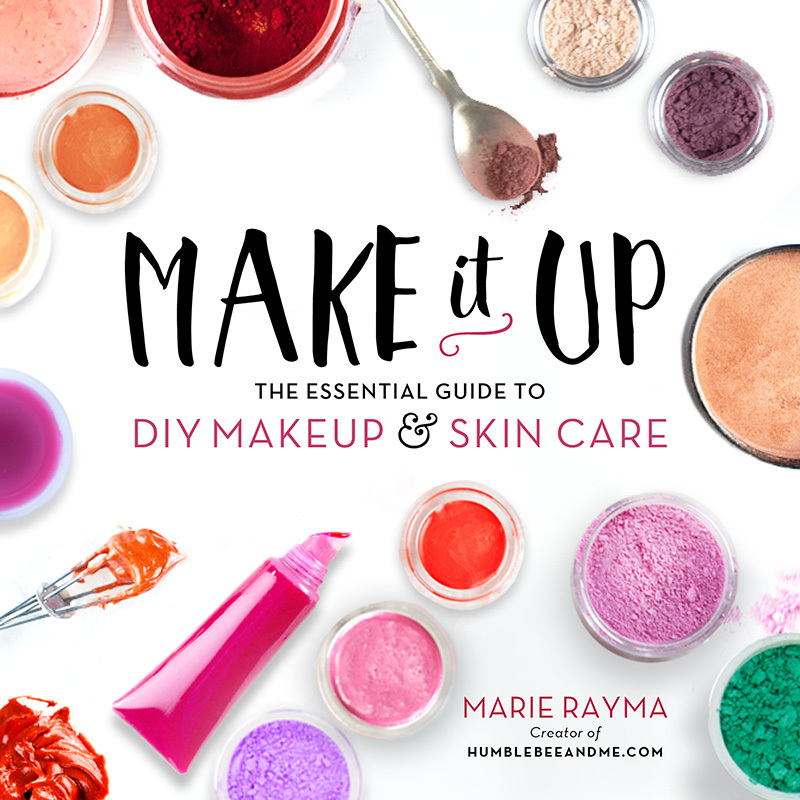 I’ve got a whole post on that 🙂 Be sure to check out my book, too—it’s all about DIY makeup, so if you’re interested in DIY makeup the recipes in there are MUCH simpler and much more accessible, with far fewer ingredients.